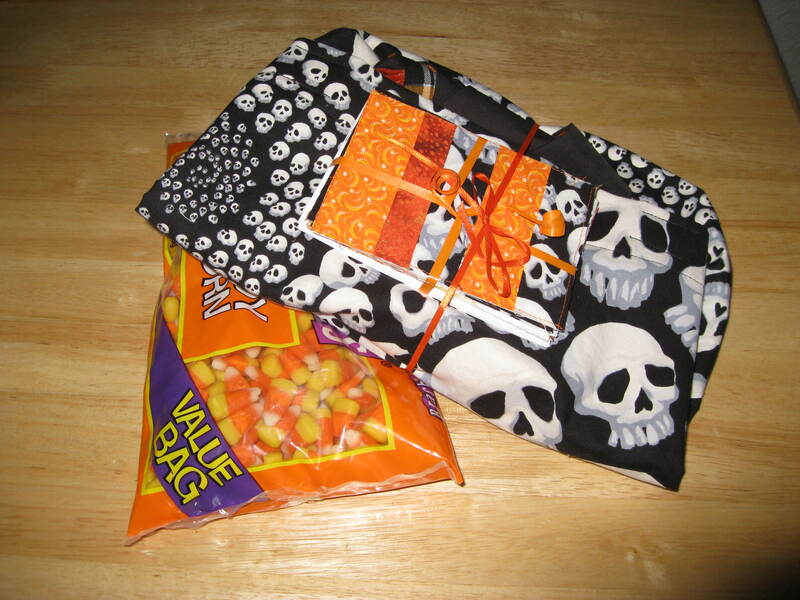 The Halloween apron swap package that I put together included the apron, a tote bag made from my favorite Skullfinity fabric lined in orange, a set of Halloween fabric scrap cards, and a bag of candy corn. I’ve gotta say, I was really proud of this package, I think it is my best yet, and the package I received in turn was also fantastic. As for the apron, I recommend that it not be worn with four-year-old SpongeBob pajama pants and a tank top wet with spilled toothpaste. (The picture was taken at 7 a.m. when the photographer generously agreed to wake up early to take a picture before mailing it off that day.) 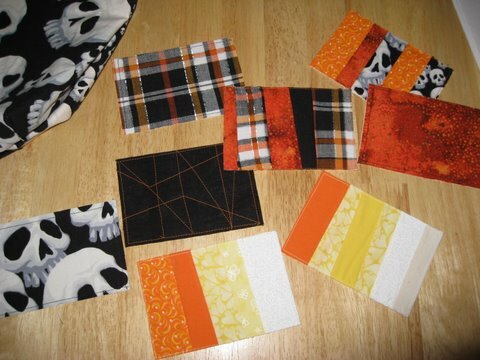 For some great pictures displaying the items, check out the recipient’s blog post. October 21, 2009. 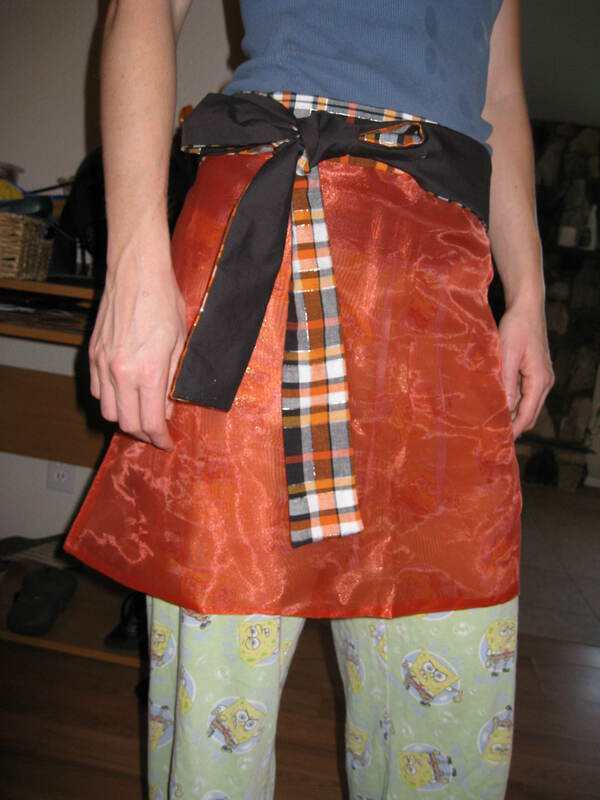 Tags: apron, apron swap, completed project, Halloween, swap. Pictures, Projects, Words. Love your designs, this is GREAT. You gotta love a photographer who wakes up to take a photo too, yes? October 22, 2009 at 5:49 am. Permalink.